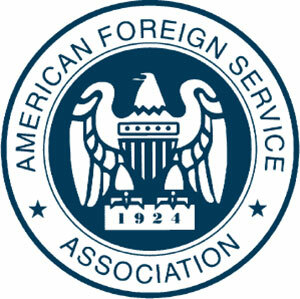 The Foreign Service Act of 1980 became law in early 1981. A year later, the FSJ asked Congress, State management and AFSA leadership to evaluate its implementation. Here are their responses. The 1980 Act aimed, in the words of a Government Accountability Office report, “to provide a Foreign Service characterized by excellence and professionalism, representative of the American people and operated on the basis of merit principles.” It covered seven agencies (two of which no longer exist) and codified in one law authorities scattered in various executive orders and regulations. The act created the Senior Foreign Service, reduced the number of Foreign Service personnel categories, established a single Foreign Service pay schedule, added new benefits and allowances, authorized a Foreign Service union, set parameters for a grievance system and strengthened congressional oversight by requiring regular reports from the Department of State on affirmative action, professional development, workforce planning, language skills, ambassadorial nominations, operations of the inspector general and other matters. Some of the act’s injunctions were never fulfilled, and others have lost force with the passage of time. The act intended but failed to create a single, uniform Service across the foreign affairs agencies: an interagency Board of the Foreign Service quickly fell into disuse, and although the agencies negotiated common regulations one by one, they never defined or adopted the “maximum compatibility” that the act called for. Necessity, expedience and changing circumstances reversed the simplification of personnel categories, which are many and complex once again. And the act’s statement that “contributions to political campaigns should not be a factor” in ambassadorial appointments was weightless and wishful from the outset. The Foreign Service Act of 1980 has now been in force longer than either of its 1924 and 1946 predecessors. Could a new act take into account the changes in the Service and its role, and lead to better management and better performance? Perhaps, but without a president intrigued by the problems of administration, a Secretary of State eager for reform and a Congress willing to take on a project with no political payoff, a new act has no realistic prospect of adoption. Anyone involved with the Foreign Service at the time of its passage knew that the Act of 1980 was a great and transformative accomplishment. But those responsible for carrying it out had different ideas about what was important and how well the work of implementation was going. The three-part article below, reprinted from the May 1982 issue of The Foreign Service Journal, presents views from the Hill, from State’s management and from AFSA’s governing board. Harry W. Kopp, an FSO from 1967 to 1985, is the author of Commercial Diplomacy and the National Interest (2004) and, with the late Tony Gillespie, Career Diplomacy: Life and Work in the U.S. Foreign Service (2008). His most recent work, The Voice of the Foreign Service: A History of the American Foreign Service Association, was released by Foreign Service Books on July 13. The Foreign Service Act of 1980 prepared the way for some fundamental changes in the operations of the Service. Some of these changes have already begun to be felt after the first year of the act’s implementation, but much unfinished business remains. The main purpose of the act was to develop a Foreign Service structure that could meet the challenges of the next century. To that end, the provisions of the act reflect a philosophy of the Service which, although it may not be understood or shared by some diplomatic personnel, is held by Congress and, one hopes, the majority of the Service. ■ First, the complex challenges of modern diplomacy and international relations require more flexibility in the use of diplomatic skills and talents. ■ Second, the Foreign Service must deal with the fact that almost all governmental activities and many private activities now have international components. ■ Third, the unique demands of U.S. foreign policy and the fundamentally different conditions of service required for its conduct demand a specially organized, trained and disciplined group of professionals who are willing to accept burdens and risks unknown to any other professional group. ■ Fourth, the Foreign Service cone system must be made more flexible to deal with the new realities of diplomatic operations. ■ Fifth, Foreign Service operations need to recognize the recent changes in American family life. ■ And, last, regardless of parent agency, members of the Foreign Service must work as a unit when the issue or problem requires it. Fragmentation among agencies in Washington jeopardizes U.S. policies and imperils the country team concept overseas. The centerpiece of the Foreign Service Act is a group of provisions that reflect these assumptions. If implemented imaginatively, they will produce a dynamic, flexible and effective Service. These provisions include those on career development and training, the Senior Foreign Service, allowances and benefits, and compatibility among the foreign affairs agencies. Of these, the most vital are contained in Chapter 7, which governs career development, training and orientation, and the operations of the Foreign Service Institute. The institute’s new programs will combine core professional training to develop substantive and management skills and expertise, with specialized training in a variety of fields to develop mastery of new areas of foreign policy. The latter should include the areas such as science and technology, energy, multilateral diplomacy, systems analysis, economics and trade, and international communications and information. For Foreign Service personnel whose training in the past has fallen short, the development of functional and management training, including language training, is vital to permit effective career patterns. Meanwhile, to reflect the changes in American society, provisions will be made for orientation, language training and job training to help family members function effectively abroad, whether employed or not. For the Foreign Service member, the goal of career development should be effective use of his or her expertise. It should prepare that individual for challenges that may not have been anticipated when the career path was chosen. To this end, specialized training at the Foreign Service Institute is helpful and desirable. Equally important, however, are the use of the act’s Chapter 5 authorities to assign members of the Service outside their parent agencies or Washington, the creative use of out-of-cone assignments, the use of Chapter 7 authorities that permit training at outside institutions at agency expense and the provision of university degree credit where possible. One problem with career development, however, is the method of recruitment. Under the present system, the Foreign Service examination does not test for the talents and skills actually used in the Foreign Service. It focuses almost exclusively on analytical skills, without testing for those needed for the technical and managerial positions in the Service. It is easier to take an individual with commercial experience and train him or her for the Foreign Service than it is to train an individual with little or no experience to be a commercial officer. The same holds true for budget and fiscal experts, personnel experts, communications and security officers, and many others. Indeed, even political officers will need some specialized training if they are to analyze technological trends, communications issues, etc. Changes should be made to accomplish this type of recruitment. The lateral entry and excursion tour programs should be used more creatively, and more attention should be given to permitting personnel to change career ladders within the Foreign Service and Civil Service systems. To some Foreign Service members, this may sound like heresy, since entry into the Service has traditionally been by examination. Nonetheless, unless the Foreign Service is willing to meet the new challenges of foreign policy creatively, the problems that have plagued the Service in the past will destroy it in the future. Also vital to career development is the use of out-of-cone assignments. If cones are used as straitjackets, to confine an individual’s skills and expertise or to restrict groups of senior jobs, the Foreign Service as a whole will be the loser. In a promotion system, competition within cones may be easier to accommodate than competition within ranks without regard to functional categories, but both are now used in the Service. Changing tradition is never easy; but if, as many believe, the survival of the Service depends upon it, changes must be made. The culmination of successful career development is entry into the Senior Foreign Service. Though the act created the SFS and requires development of substantive and management skills and expertise to help reach it, the criteria for entry into the senior ranks have not yet been developed. This adds to the uncertainty that a new system inherently produces. The act seeks to encourage senior officers to achieve high levels of performance through increased opportunities to serve in positions of high trust and responsibility, increased competition, rapid advancement to the senior ranks and the opportunity for extended service so long as standards of excellence are maintained. The act conceived of the SFS as a means to ensure that only the most capable individuals are promoted into the higher ranks through the creation of a new, rigorous senior threshold performance review process. Entrance into and promotion and retention within the SFS is intended to be governed by selection boards in the same manner as in the Foreign Service as a whole. Those not promoted would thus receive early warning, giving them time to make other plans. But until the new performance review process is developed, members of the Service have no way of judging whether the Senior Foreign Service will be the dynamic corps it was envisioned to be. In addition to an effective career development program, a barometer of the vitality of any institution is its system of rewarding exceptional performance and its ability to support performance of duties. The system of incentives, allowances and benefits provided under the act is intended to provide these rewards and overall support equitably, yet they must be adequately funded and applied within the Service and among the agencies. Ultimately, all the benefits, employee policies and programs discussed above will be tied together in a united system comprising all five foreign affairs agencies. The act’s requirements in Sections 203–205 for maximum compatibility among the administrative agencies of the Service were not only designed to promote efficiency. Implemented effectively, these provisions will promote the flexibility necessary to the work of the Service by removing bureaucratic obstacles. Especially overseas, they will also prevent the fragmentation that hurts implementation of policy. In the final analysis, only if the Foreign Service’s purposes, functions and needs are viewed as a whole, and the necessary changes made imaginatively, will the Foreign Service Act of 1980 pave the way for fundamental changes in the Service and the foreign affairs agencies. For instance, the Foreign Service Institute cannot develop training courses in the absence of a joint management-labor vision of what career development patterns should be. Junior and mid-career development patterns cannot be drawn in the absence of a known model for the character and operation of the Senior Foreign Service. Finally, the most beautifully designed career pattern is meaningless if the morale of the individual employee is neglected because of an uncertain system of allowances and benefits and the lack of effective and consolidated administration among the Service’s parent agencies. The Foreign Service of the next century will only be a dynamic reality when the myriad pieces of the jigsaw puzzle designed by the Foreign Service Act of 1980 are finally fitting together. In 1982, Virginia M. Schlundt was staff director of the House Committee on Foreign Affairs’ Subcommittee on International Operations. She was the principal aide to committee chairman Rep. Dante B. Fascell (D-Fla.), floor manager of the bill that became the Foreign Service Act of 1980. The first year’s effort in implementing the Foreign Service Act of 1980 has produced a blizzard of draft regulations and personnel actions affecting, directly or indirectly, every member of the Service. It has proven to be a slow and sometimes painful process. We are convinced, however, that it is worth doing carefully and well, since we are laying the foundations for a house in which we all have to live for some time to come. In fact, implementation has been one of the foreign affairs agencies’ principal management concerns during the past year. We have come a long way since the act took effect on February 15, 1981, and this is nowhere more evident than in the first annual progress report recently filed with the Congress in accordance with Section 2402. Although much remains to be done before we can claim that implementation has been completed, the list of what has been accomplished in the first year is a long one. 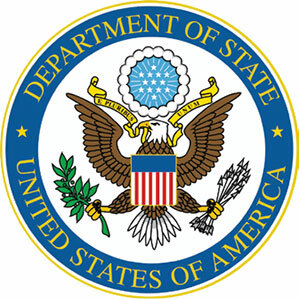 The first “Report to Congress on Implementation of the Foreign Service Act” summarizes the basic structural steps which have been taken, underlines the effort to ensure maximum compatibility among the foreign affairs agencies, outlines the transitional actions completed and under way, and projects our anticipated recruitment, attrition and promotion over the next five years. This article draws on that report to summarize the steps already taken. The report notes in its opening section that required presidential actions under the new statute have been taken in four executive orders. Three orders issued in 1980 and 1981 establish the new Foreign Service pay schedule, ensure that existing executive orders conform to provisions of the new act, and implement a number of miscellaneous provisions in the act including establishment of titles and salary levels for the Senior Foreign Service. The final executive order, recently issued, provides for establishment and operation of the Board of the Foreign Service, which under the act transfers to other organizations its previous responsibilities for separation appeals and the resolution of labor-management impasse disputes. In addition to the new Board of the Foreign Service, several other bodies were created or modified by the 1980 Act. The Board of Examiners of the Foreign Service, for example, was expanded to include public members with knowledge, experience or training in the fields of testing or equal employment opportunity. The reconstructed board has already held three meetings and submitted its first annual report to the Secretary of State on the Foreign Service examination. Similarly, the Foreign Service Grievance Board has been reconstituted under the revised statutory authority contained in Chapter 11 of the act. Its primary functions continue unchanged, but it has acquired new responsibilities such as hearing appeals in separation cases and in labor-management implementation disputes. Also in the field of labor-management relations, both the Foreign Service Labor Relations Board and the Foreign Service Impasse Disputes Panel have been constituted within the Federal Labor Relations Authority. The FSLRB has already dealt with one issue referred to it, while two disputes have been submitted to the Impasse Disputes Panel for resolution. A great deal of time and energy has been devoted to carrying out the Foreign Service Act mandate for maximum compatibility among the foreign affairs agencies—State, AID, ICA [International Communication Agency, the redesigned U.S. Information Agency], Commerce and Agriculture. Preparation of the new act necessitated major revisions in the personnel regulations of all five. Even prior to the effective date on the act, their personnel directors had agreed that implementing regulations would be issued jointly whenever possible, and that an agency would issue separate regulations only when its particular circumstances dictated a different approach. Since that time, the agencies have endeavored to follow this philosophy. The primary vehicle for accomplishing this purpose has been a series of working groups established to develop common policies and draft regulations on particular topics, such as the Senior Foreign Service or new allowance authorities. There have also been, from time to time, further meetings of the personnel directors and a large volume of informal consultation at all levels. When the process is completed, which will take at least one additional year, we anticipate that a substantially greater proportion of the Foreign Service personnel regulations will be joint among the several agencies than was previously the case. In addition to building the future structure in terms of organizations and regulations, implementation of the Foreign Service Act has also required close attention to transitional problems immediately affecting a large number of State Department employees. The most urgent of these have involved conversion of members of the Service from one personnel category to another. These have included conversion to the Senior Foreign Service of senior officers available for worldwide service, if they so request; conversion to the new specialist category (and the accompanying Foreign Service pay schedule) of worldwide available Foreign Service Reserve officers below the senior level and of members of the Foreign Service Staff Corps; conversion to the new Foreign Service schedule of FSOs below the senior level; conversion to the Civil Service personnel system of domestic FSRs, FSRUs, and FSSs [Foreign Service Reserve and Staff categories] not available or needed for worldwide service; and conversion to the appropriate worldwide Foreign Service category of certain individuals from the Civil Service. Under provisions of the act, this conversion process will in fact require three years to complete, since affected individuals in some categories have up to three years to accomplish conversion. Nevertheless, the conversion process is well under way, and most of those affected by it have in fact been processed into their new personnel status. The Senior Foreign Service, for example, currently has a total of 1,100 members from the five agencies, of whom 703 are on the rolls of the State Department. Only 42 eligible senior FSOs in the department declined conversion and thus retained their previous rank through the three-year transition period. All members of the Foreign Service, other than senior officers, were switched to the new Foreign Service Schedule for pay purposes in October 1980, and in February 1981 were, in turn, converted automatically (if worldwide available) to the new grade structure and categories. Under Section 2104 of the act, 471 Foreign Service employees were notified that they were considered to be in domestic status and thus subject to conversion to the Civil Service. Approximately one-fourth of the individuals so notified appealed their designation, seeking to remain in the Foreign Service. About one-fourth of those who appealed, or roughly six percent of the total group, were successful in winning retention in the Foreign Service as a result of the deliberations of the department’s Appeals Committee. Of the balance of those identified for conversion to the Civil Service, approximately 15 percent have already converted to GS or SES appointments, while the remainder are deferring conversion, as the law permits them to do. Finally, the Report to Congress includes five-year projections of attrition, recruitment and promotion. Such projections have been standard management tools in the State Department for some time as an element of flow-through planning, but these have now been made mandatory under the act and must henceforth be included in the department’s annual report on implementation. The purpose of flow-through planning is to ensure that management policies provide for a predictable flow of talent into and through the Foreign Service personnel system. Through this effort, management seeks to balance projected needs and projected employment. To develop the assessment on which this balance is based, both internal and external factors are defined which will influence attrition, recruitment, promotions and other variables. Based on these factors, management can then calculate the number of employees required in each skill group and each class. These calculations result in a set of options used to create yearly management plans which, in turn, are then subject to regular reassessment as conditions change. The calculations required this year have been made more complex by the introduction of limited career extensions for certain categories of career members of the Foreign Service whose time-in-class is due to expire. The number of such extensions will be determined annually by management to meet Foreign Service needs and to permit predictable promotion flows, and will be granted on the basis of rank ordering by the Selection Boards. Extensions will be used to ensure an appropriate balance between rates of attrition and retention of skilled members of the Service. Within this balance, we expect that a substantial number of limited career extensions can be granted in 1983—when the first group of members of the Service subject to the new shorter time-in-class will be considered for them—and in subsequent years. When significant annual variations in extension opportunities are anticipated, averages will be employed to ensure, insofar as possible, a regular annual level of mandatory retirement. Detailed regulations covering extensions are among those still remaining to be developed. In 1982, Andrew L. Steigman was deputy assistant secretary of State for personnel. A career Foreign Service officer since 1958, he was ambassador to Gabon from 1975 to 1977. In 1980 he was named director of the Office of Foreign Service Career Development and Assignments. After three years of consultations, hearings and research, Congress passed the new Foreign Service Act, beginning the long process of implementation. Congress provided new benefits for the men and women of the foreign affairs agencies, but they were provided so that the Foreign Service could be more responsive to the demands made upon it—not simply to add more perquisites to the supposedly already easy life of those who serve their country at missions abroad. Along with these benefits came a reorganization of the Service, including a mechanism to regulate the trade-off between job tenure at the senior levels and promotion opportunities for mid-career junior personnel, the provision of performance pay to circumvent the pay cap for those in the potentially riskier Senior Foreign Service and application of selection out to the Staff Corps. To those of us in AFSA and, we believe, the congressional committees who worked so hard and so long to produce the best possible law, the act was a package—with new benefits balancing new risks and responsibilities—designed to restructure the Foreign Service in light of modern conditions and needs. ■ maximum compatibility among the five foreign affairs agencies. While there had been—and still is—controversy over certain provisions of the act, no one had disagreed with the basic overall objectives. If the implementation were to go well, the Foreign Service community would be strengthened and the American government and people well served. But the implementation has so far not gone well at all. From the first day of negotiations, there have been problems. First, hardly any of the draft regulations implementing the act were in a form ready to be presented to the unions for negotiations. This was at least in part because the new administration wanted to review recent legislation before proceeding. Second, the foreign affairs agencies themselves seemed to have trouble reaching a common position. All five were headed by new managers who had different ideas of changes they wanted to make in the organizations they were taking over and, therefore, different interpretations of the provisions of the act. 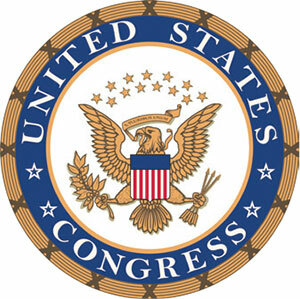 Third, for the new administration, this was the “year of the budget.” Rather than looking at the bill as the package it was intended to be, management has tried to cut costs whenever possible and attempted to negotiate restrictive regulations on the incentive side of the act, which would result in uneven implementation contrary, we believe, to the intent of Congress. Last, perhaps the biggest problem has been the negotiating process itself. To meet the objective of “maximum compatibility among foreign affairs agencies” a majority of the regulations are joint, requiring five-agency, two-union negotiations (AID, State, ICA, Commerce and Agriculture are the agencies; AFSA represents AID and State, and the American Federation of Government Employees represents ICA). These negotiations are proving to be cumbersome, unbelievably slow and perilously close to unworkable. While the unions have presented a united front and attempted to be cooperative, it appears that the real difficulty has been in five agencies reaching an agreed position. Once a position has finally been reached, the tendency is to attempt to ram it down the unions’ throats, since the alternative is clearance of any counterproposal through each agency again. While the chief negotiators for AFSA and AFGE have wide authority, the lack of authority of the management team has greatly handicapped these negotiations. The unions, however, don’t have such a problem. The State and AID negotiators are members of the AFSA Governing Board. AFGE’s negotiator is the president of AFGE Local 1812. The union decision-makers are there. They get along, they have their instructions, they know what they want. They can usually formulate counterproposals swiftly—the record so far is 10 minutes. In short, the unions’ representatives are ready to negotiate and expect the same from the other side of the table. With a few exceptions, these expectations have not been met. Even to formulate a common initial position seems to take the five agencies an inordinate amount of time. For example, a year after the act became effective, the agencies were still arguing about “incentive pay” and what proposal should be submitted for negotiation. AFSA and AFGE submitted a joint proposal to try to force the subject to the bargaining table. So far, no luck. The unions could file an unfair labor practice charge, but this would delay things another few months. We have only recently received management’s proposed Standardized Regulations on Special Incentive Differential. These define the limits under which the implementing regulations can be negotiated. The standardized regulations themselves are not negotiable, and on SID and “danger pay” management has used this non-negotiability to restrict severely the benefits that are negotiable. In other words, the intent of the act has been unilaterally interpreted by management in a manner that gives us much less than we feel was intended by Congress. “Advance of pay” is another example. AFSA is not stupid! We don’t like irate members; we want to get needed benefits as soon as possible. But at what price? We had submitted proposal after proposal on advance of pay. When agreement could not be reached, we tried mediation. We sat in one room trying to find a formula everyone could buy while management sat in another room saying no to each proposal. The issue had to go to the Federal Labor Relations Authority’s Foreign Service Impasse Disputes Panel. Why? Basically because the management of one of the agencies was afraid employees would “misuse” this benefit Congress wanted the Foreign Service to have. Finally, the impasse panel recommended that AFSA’s recommendation be accepted. Management agreed, and the new regulations should be out by the time you read this. The association has been told that these five-agency, two-union negotiations are unique in federal labor-management history. We sincerely hope no one else is subjected to this process. Soon Congress will be holding hearings on the progress of the implementation of the Foreign Service Act, and the association will testify. It will be interesting to hear how Congress feels about this unique negotiating procedure, which has frustrated the substantive goal of achieving improved regulations in a timely fashion. AFSA’s chief negotiator has described the last year as not only frustrating but disappointing. And we are beginning to fear that far from achieving the healthy and efficient compatibility among the agencies that is called for in the act, we are ending up in many cases with a sort of lowest-common-denominator blandness that offends no one, changes little and is principally cosmetic in nature.